Vaughn Velocity V7 XR Intermediate Catcher | Sports Etc. 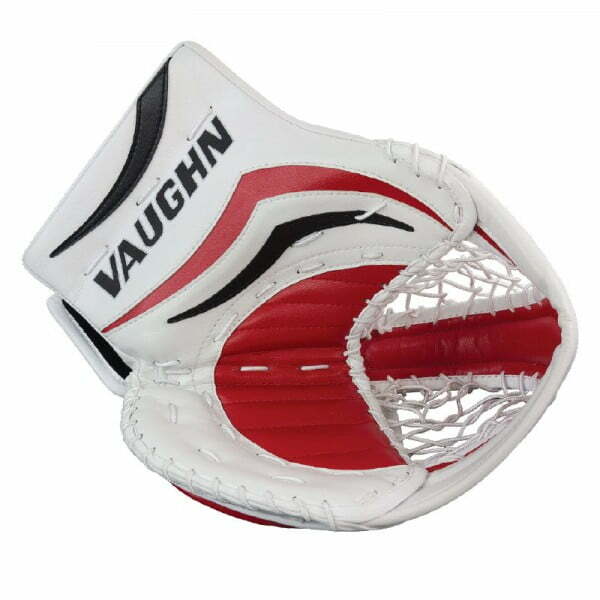 The Vaughn XR catcher has a solid one piece cuff and thumb with contoured front surface to increase front catching surface, and reinforced finger perimeter to strengthen outer edge. An extremely durable glove, with all the features of a high-end catch glove in an intermediate size. Sports Etc Performance to Value Rating– 9 out of 10. One of the better intermediate goalie glove’s on the market.